A few years back when Hurricane Irene hit we had two 80 foot trees uproot and come crashing down completely destroying our deck. While our home had just superficial damage the loss of the deck remained a very significant financial repair. We immediately called our neighbor because the previous year we had watched their builder construct a beautiful deck. Truly quality workmanship and the crew was there every day (unlike a lot of construction crews who start, go to another job, then come back). I loved the quality and I appreciated the crew didn’t leave the job until it was done. So I asked for the name of their builder and called him. He literally came the next day. I liked what he had to say. He told me he’d work with the insurance company and take that stress away. Because of his reputation, I gave him a lot of slack. Also, it wasn’t critical the repair be done immediately compared to those who had their homes destroyed. Before I knew it, late August turned into early December. I made a few phone calls. The receptionist was nice enough but I never got a call back because he was very busy. In December, I got a phone call from the insurance adjuster that they were having a hard time reaching my builder. They had sent him a request for information but he had not responded. Finally, I reached the builder and he confessed to overwhelm due to all the insurance work coming his way. Historically, his workload was comprised of 20% insurance work; 80% non-insurance work. This was a radical departure from his normal routine. I gave him some more slack and he promised to finish up with the insurance company. December became January. We now had a new insurance adjuster. The process had to start from scratch. The phone calls weren’t returned. The e-mails went unanswered. Now, you may say to yourself, ‘I wouldn’t tolerate this type of behavior. I would have gotten another builder.’ Not so fast. See, this builder was still holding on to me by a thread…because of his ‘great reputation’. By February, his ‘great reputation’ had worn thin because of lack of communication and lack of results. I started working with the insurance company myself, brought in other builders to bid. The work eventually got done done by another builder who not only has a ‘great reputation’ but actually followed through on his claims and responded to me, the customer, in a timely way. They’ve both been in business the same number of years. Both have steady work. Yet this builder acted as if I was his first and only client. See, my first builder had me at ‘hello’ because of his ‘great reputation’ and he didn’t have to work very hard for me to hire him. This is the beauty of the ‘great reputation’. It predisposes clients who contact you to hire you with very little persuasion on your part. This is the ideal world lawyers work so hard to create. The hardest part, however, is remembering to be emotionally and physically present during the actual servicing of the client secured because of the ‘great reputation’. When a lawyer is new they are working on building their reputation one client at a time. They recognize each client who receives great advocacy, compassion, and attention during the representation process and ultimate resolution of their legal matter begets more business and so on and so on. Earning your reputation is only half the battle. But quite often the lawyer forgets it’s ONLY half the battle. Maintaining your reputation is, in my opinion, the hardest part. 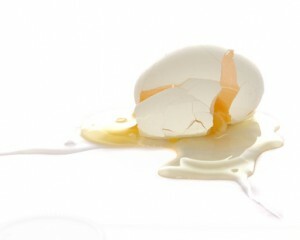 Over time, as the lawyer gets a little jaded, frazzled by their workload, exhausted from the juggling act known as solo life, they may forget that reputation is as fragile as an eggshell. It can only take so much pressure in the form of dissatisfied clients who eagerly hired you because of the anticipated attention they would receive before it cracks. And it is very easy to rely upon one’s reputation and forget to cultivate each and every new client as if they were the first client because, after all, haven’t you earned that luxury? A happy client will talk about you when asked but only to the person who does the asking. An unhappy client will talk to multiple people about how you didn’t live up to your reputation…without being asked. Once I started talking to builders in the area, they confirmed my original builder’s reputation was really good, but the inside scoop was an ever-increasing inability to deliver as promised. This is the kiss of death. In any business, you are only as good as your next client. If you remember this truth you will always treat each and every client who walks in your door as if she was the first. Do this, and you will never have to worry about your ‘great reputation’ for delivering quality legal advocacy being shattered. Because, as they say, all the kings horses and all the kings men couldn’t put humpty together again. This entry was posted in Case Studies, Client Relations, Solo & Small Firm Practice, Subjective Opinions. Bookmark the permalink.